The businessman argued that the story contained details of his private finances. THE HIGH COURT has granted billionaire businessman Denis O’Brien an injunction blocking the broadcast of an RTÉ News item in which he features. O’Brien, supported by IBRC, was seeking to prevent a story by RTÉ’s business editor David Murphy which contained details of loans given to him by IBRC. RTE said it was ‘disappointed’ by the court’s decision. Judge Donald Binchy granted the order and told the court that certain elements of the judgement would have to be redacted. The media therefore cannot report them. His lawyers argued that the report contains details of his private finances that are protected by confidentiality. RTÉ said that the information was in the public interest because of O’Brien’s wealth and the power it has allowed him to accumulate. The planned RTÉ news report featured content from a letter from O’Brien to KPMG liquidator Kieran Wallace. It also contained details of his total indebtedness to IBRC, and the speed at which he sought to repay it. “RTE is disappointed by today’s injunction as we feel that the story is in the public interest, but we respect the court’s decision,” the broadcaster said in a statement. “RTE will give further consideration to today’s ruling and RTE will continue to report on, and investigate, stories in the public interest”. 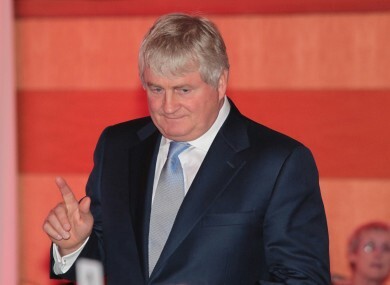 Email “Denis O'Brien has blocked the broadcast of an RTÉ news story about him”. Feedback on “Denis O'Brien has blocked the broadcast of an RTÉ news story about him”.